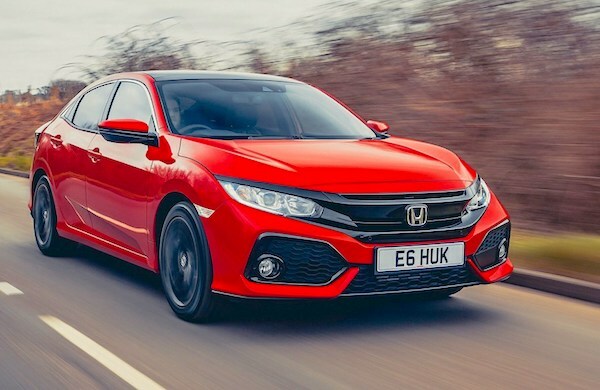 The Honda Civic is the best-selling car in Turkey for the first time. The crisis is deepening in Turkey: after a 14.8% drop in May, 39% in June and 35.9% in July, light vehicle sales freefall 52.6% year-on-year in August to just 34.346 units. That’s 43.7% below the August monthly average over the last decade at 60.951. Passenger cars fall 50.9% to 26.976 while light commercials sink 58.2% to 7.370 sales. The year-to-date volume is now down 20.8% to 440.428 vehicles. Renault (-59%) remains in the brands lead at 11.9% vs. 14.4% YTD despite falling faster than the market. The French carmaker distances Ford (-51%) marching the market fall, whereas Volkswagen (-62%) and Fiat (-69%) totally implode. In the Top 18, Honda (+15%) is the only carmaker in positive while Seat (-16%), Toyota (-21%) and Audi (-30%) improve their share thanks to relatively limited falls in context. Further down, DS (+6300%), Porsche (+103%), Mitsubishi (+44%) and Volvo (+10%) are the only manufacturers in positive. Full August 2018 Top 40 All-brands and Top 230 All-models below.